Including outerwear, mid-layers and more. Japanese cult-imprint Cav Empt has returned with an array of usually-attuned offerings for the sixth drop of its seasonal Spring/Summer 2019 collection. The latest release once again employs the brand’s normative bold imagery and cut & sew styles, dropping an array of outerwear, mid-layers, shirtings, and a pair of trousers. This includes the Grid Black Denim Jacket, which totes an 8oz stone-washed print and a velvet facing collar, matching Grid Black Denim Wide Chinos, a nylon-based Unavoidable Zip Jacket doused with heavy graphics, and blue and green variations of the Stripe Flannel Big Shirt. 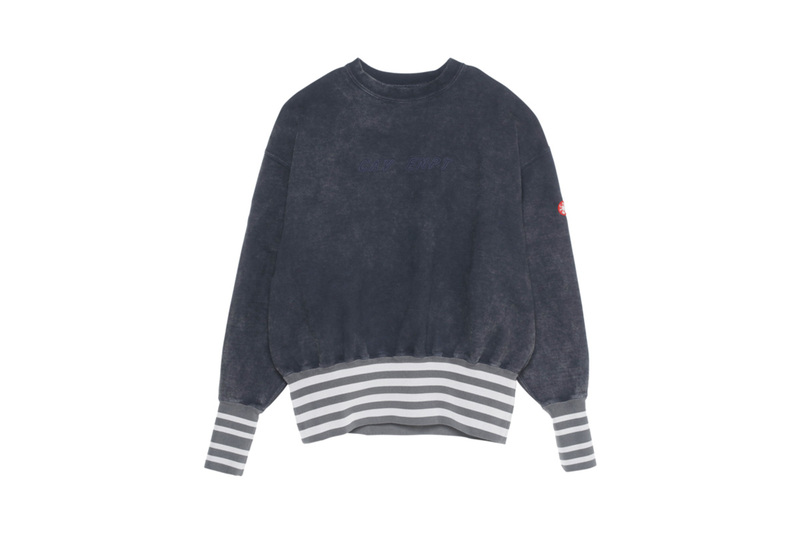 As always it has included some unique sweats, such as the over-dyed CoBrA Crew Neck sporting a “EACH EPOCH DREAMS THE ONE TO FOLLOW” graphic, and a Wide Rib Heavy Crew Neck that has been stone bleached and dons an embroidered “Cav Empt” on the front side. Both of these come with the newly designed Ziggurat Patch on the inside. Check out the drop above, and if you’re interested in copping a piece head over to Cav Empt’s web store where a majority of the pieces are still available. You can expect the range to hit global stockists in the coming weeks. In case you missed it, Supreme just revealed plans for a temporary NYC relocation. Samsung’s first flagship 5G smartphone. Check out the new Zombie mode. The single comes from the ‘Creed II: The Album’ soundtrack.